An illegal alien and known gang member murdered four people while his deportation was deferred under Obama’s executive amnesty, i.e., an Obama Dreamer. WASHINGTON — U.S. 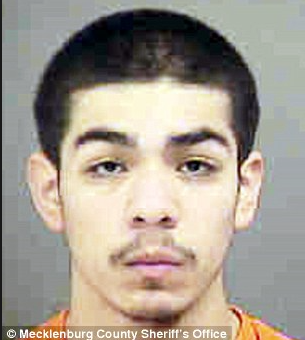 Citizenship and Immigration Services admitted it should not have granted deferred deportation to a known gang member who is now charged with murder in North Carolina. Emmanuel Jesus Rangel-Hernandez is charged with the murders of four people in North Carolina, including a former ‘America’s Next Top Model’ contestant. In a letter to Senator Chuck Grassley of Iowa, chairman of the Senate Judiciary Committee, USCIS stated that Emmanuel Jesus Rangel-Hernandez’s request for deferred deportation under President Obama’s Deferred Action for Childhood Arrivals (DACA) executive order “should not have been approved” based on its procedures and protocols.